Thick wedges of roasted acorn squash tossed with Chermoula sauce makes a simple but flavorful side. It’s hard to miss the piles of squash filling up the market stands at the moment and that can only mean one thing … fall is officially upon us. If you asked me to pick a flavor to define the season I’d say squash and pumpkin win hands down. The orange-hued beauties transition us from the last days of summer to early fall right through the holidays and into the new year. 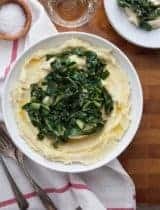 Not only are there endless ways to serve them (as a side, in soups, or salads, for dessert, etc…) but they play well with so many different flavors and cuisines, making them incredibly versatile. This time I coated thick wedges of acorn squash with a little olive oil and a good pinch of salt and spices before roasting them off in a hot oven and tossing them with Chermoula sauce. 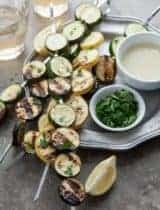 You can make this with any squash but I chose acorn because of their tender flesh and small size which makes them easier to cut into pretty wedges. While there’s no one recipe Chermoula, each cook and region makes it a little differently, it’s generally a blend of spices like coriander, cumin, chilies and garlic pounded into a paste with parsley and cilantro and made into a sauce with olive oil. It’s fresh and vibrant with spice, and just a little bit hot. And although the herb and spice blend is often seen accompanying fish dishes it’s brilliant with vegetables as well. This simple side doesn’t take long to prepare as the oven and food processor do most of the work. Purists will recommend a mortar and pestle to make the sauce but honestly a food processor works just fine and is much faster. Make the sauce while the squash is roasting and once the squash comes out the oven, coat the warm slices with the Chermoula and you’re done. You should also know that leftovers are excellent cold from the fridge the next day as well. Thick wedges of acorn squash are coated with olive oil and a good pinch of salt and spices before being roasted and tossed with Chermoula sauce. 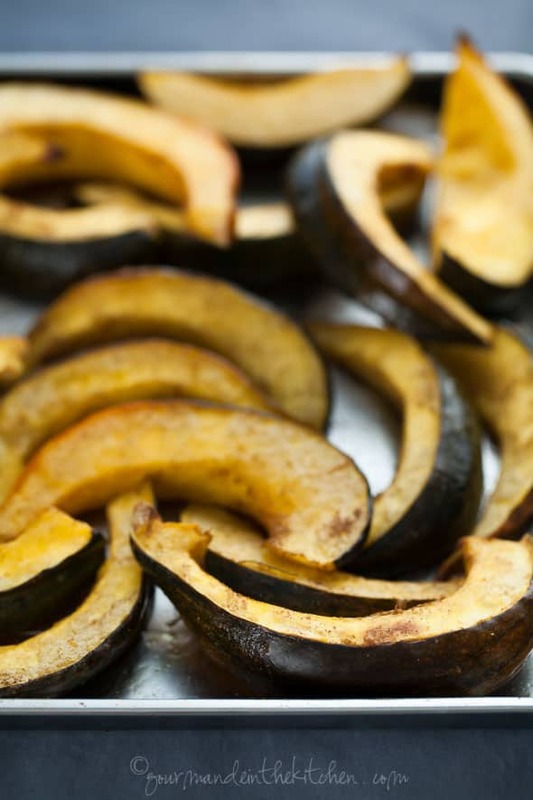 Toss the squash with olive oil and spices and season with a pinch of salt and pepper. Spread on a baking sheet and roast until browned and tender (about 30 to 35 minutes) flipping halfway through. While the squash is roasting make the Chermoula sauce. Add the parlsey, cilantro salt, pepper, spices and garlic to the bowl of a food processor. Pulse until the herbs are roughly chopped. 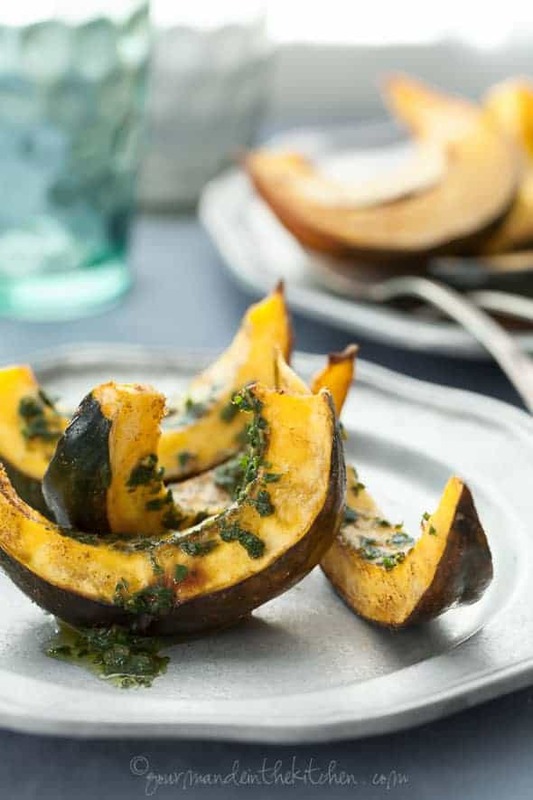 Toss the Chermoula Sauce with the warm roasted acorn squash slices and serve warm or at room temperature. If you have leftover sauce, pour a film of olive oil over the top and keep it in an airtight jar in the fridge for a few days. I freaking love roasted squash. That sauce sounds like it goes so well with this! For as much as I love squash, I've never actually cooked acorn squash. Your recipe is making me realize that's a darn shame! 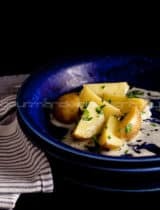 I love the simplicity of these roasted wedges! I may have gone a bit overboard on the squash at the farmers market this weekend...I have at least 5 acorn squash in my basement just begging for that sauce! Looks delicious! That Chermoula sauce sounds soo flavorful and refreshing - I am intrigued! 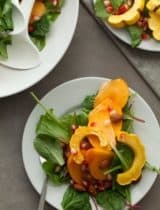 I love roasted squash and the chermoula sauce sounds incredibly flavorful! This is gorgeous Sylvie!! I just loaded up on acorn, butternut and spaghetti squashes the other day. I have never made chermoula sauce before so I think I am going to have to give this a try! 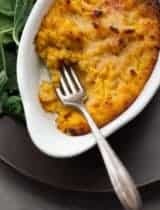 Normally I bake acorn squash with a touch of coconut oil, maple syrup and a dash of cinnamon, but this savory version sounds so good!! Oh Syvlie - this is one beautiful dish! Love everything about it! Yes, the fall squash season is definitely getting into full swing! 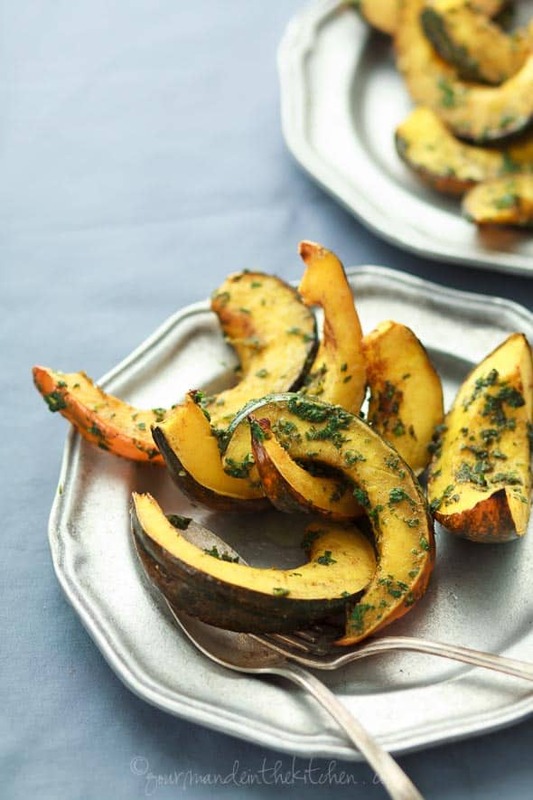 We often roast big batches of squash--love the idea of greening them up with chermoula. This is so beautiful, Sylvie! 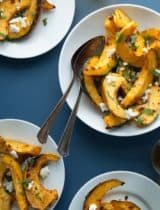 I love acorn squash and I can just taste this now with that fresh chermoula sauce! Amazingness!! I'm so glad you posted this... I purchased an acorn last weekend and really don't know what to do with it. Done! I love roasted squash! You dish looks fantastic. Thanks for the tip on using the food processor too. I dislike massing up herbs in my mortar and pestle. This looks like a beautiful way to fall into Fall. My favorite fall flavor is sage and I have a ton of it and parsley right now in my garden. I'm thinking of making a sage pesto and baking squash, inspired by what i see here. i am a squash lover at heart. i love the idea of pairing roasted acorn with chermoula sauce. just the thing it needs to give it a little twist. wow! I have never seen squash look so good. 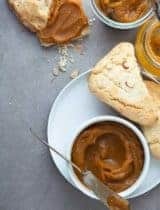 Sweet and buttery and love that sauce! This recipe looks delicious and I can't wait to try it. Thanks for sharing! 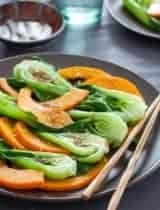 What a delicious way to cook squash! Loving the look of that chermoula sauce too.. definitely a recipe I can see myself recreating!